Bernie’s next assignment is a world the gods created to produce a glowing powder the gods sprinkle on their streets to light them up at night. For some reason, the miners have stopped producing it. When Bernie investigates, he finds the problem is more complicated than just renegotiating for a new trading agreement. Everything on their world keeps changing. Could it be that something is changing their past? You know Shemal (Bernie’s boss) prefers to solve problems by restocking planets with more cooperative species. Bernie is under pressure once again fix the problem before his boss decides it’s easier to wipe out all the people and start over. A beta book is not ready to be published. It means I’m looking for input on the plot, the characters, and everything else. I want to know what you think. If you find things you don’t like, then I’ll do everything I can to make the book better. The book will be available in the standard ebook formats (.mobi, .epub, .pdf). Evaluate subplots. The Universe Builders books have lots of subplots. If you think one of them is unnecessary or is not adequately resolved, help me identify it so it can be enhanced or removed. Provide feedback on the ending. Can you think of a better one? Was the book satisfying? Does it make you want to read more in the series? Does it motivate you to tell your friends about it? Remember, you don’t have to worry about typos, misspellings, missing words, or anything like that. My editor will take care of all of those things. Readers must agree to provide me with your feedback within forty days of receiving the book. 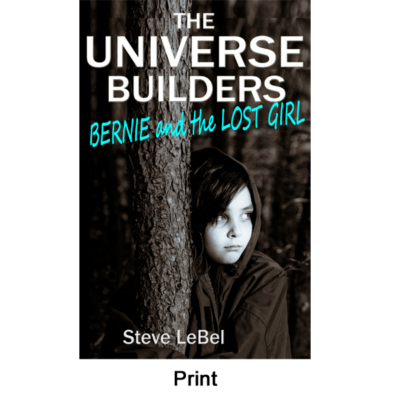 If you’re interested in being a beta reader, but haven’t posted a review of Bernie and the Putty, it’s not too late. These are places where you can post it: places to post reviews. When the book is published, I’ll need as many reviews as I can get. I’m counting on you, my beta readers, to provide the first reviews for the book. On the day the book is published, I’ll send you an email to let you know. I’ll then ask you to publish your review on Amazon, Goodreads, and other sites. I’ll also use excerpts from your reviews in some of the book’s promotional material. For each reviewer, as my way of thanking you, I’ll send you a signed print copy of the new book. If you’re still interested in being a beta reader, let me know. I promise to take your input seriously and do everything. With your help, I’ll do everything I can to make Bernie and the Time Lords the best it can be. This entry was posted in Book Reviews, News. Bookmark the permalink.